Most of its peculiarity stems from its elliptical shape. It was inherited from the Zeppelin Air, which garnered critical praise for its design and performance when it went on sale eight years ago. 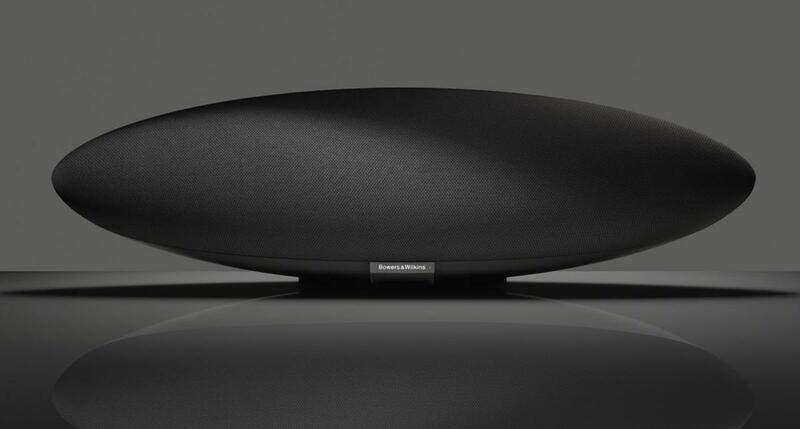 The latest speaker keeps the original’s shape, although every other part of it is new. It has a new chassis, new drivers and even a new name — and of the three, the later might be of the most significance. The original Zeppelin worked best with Apple devices. It started life with a 30 point pin dock for older iPhones and then received an update to the iPhone 5’s lightning connector. Music could be streamed wirelessly, but only over Apple’s AirPlay. People belonging to another ecosystem had to play music tethered by an auxiliary cable. Times have since changed. Android is the dominant smartphone platform with it owning 82 per cent of the global smartphone market. Bowers & Wilkins has maintained pace by investing in additional wireless technologies. The succeeding Zeppelin Wireless supports Apple AirPlay, Spotify Connect and Bluetooth. Playing high fidelity music over Bluetooth is tricky. The standard naturally compresses a file — ultimately discounting the quality of music — so that it can be transferred wirelessly. Bowers & Wilkins puts to work the aptX codec in an effort to overcome this shortcoming; a codec said to deliver CD-like audio. Pairing the Zeppelin Wireless with a smartphone or tablet is easy. The speaker has been designed to be simple, adorning only a few buttons and hiding many of them. A nameplate at on its front conceals a capacitive Bluetooth toggle that triggers the pairing mode when it is held down. How convenient it is to come home, whisk a phone out of a pocket and have music waft through the halls due to the Zeppelin Wireless’ implementation of Bluetooth. If you’re sitting on the couch, there’s no need to get up to turn the system on. Previously paired devices can do that simply by reconnecting. Only four other buttons can be found on this speaker. High on its back are volume keys and a play/pause button, while below is a power button and various connections, such as an Ethernet port and a 3.5mm input. The speaker is deceptively heavy at 6.5 kilograms. An extra kilogram has been added by way of doubling the thickness of its facia and improving the rigidity of the cabinet’s ribs. These touches prevent the Zeppelin Wireless from shaking and skidding about, in spite of it having more powerful drivers. Beneath the grille of the Zeppelin Wireless are five speakers in total, including two 1-inch tweeters, two 3.5-inch drivers and a 6-inch sub woofer. Together these speakers produce 150-watts of power. Music is played with balance, clarity and volume. A transparent approach is adopted by not favouring any one frequency. Playback is faithful to an artist/composers intentions. People playing music back over Apple’s AirPlay will reap the rewards of a higher quality stream, though the speaker plays tracks over Bluetooth well. A slight hum is present during a quiet dip in a track when the volume is set to max, such as when listening to Infra 5 by Max Richter, but it quickly fades beneath crystalline classical notes. The Zeppelin Wireless occupies an unusual space in the market; it has five speakers packed in a single body. The result is higher-than-normal volume levels being fired from one direction. In many ways, it brings to mind a stereo speaker set up benefitting from the addition of a 6-inch sub. There’s even some alternate left- and right-speaker play in tracks like 112’s Peaches & Cream. Playing the R&B track at 90 per cent to max is characterised by wonderfully rich, rubbery and textured bass. A low centre of gravity keeps the system steady, barely flinching under the volume, as not to perverse the audio track. Bowers & Wilkins has succeeded in making a system that’ll leave you lost in the playback of music. The soundstage is spacious more often than not. Man on the Run by Dash Berlin (remixed by Nic Chagall) highlighted the system’s versatility as it switched from quiet vocals to ramping trance notes with ease. There was no sign of distortion — even when the volume toggle nudged maximum. Audio playback was loud enough to fill our mid-sized test centre, and then have fellow workers scattered across our 1200 square metre offices knock on the door, some asking to let them in to listen, others pleading for us to turn it down. Anyone buying the Bowers & Wilkins Zeppelin Wireless will relish both its simplicity and its skillful playback of music. Better sound can be milked from more sophisticated systems, though they bring wires and inconvenience into the picture. The Zeppelin Wireless strikes a fine balance between the two, wrapping the duo in one of the most charismatic bodies, what guarantees it a special spot among the most beloved pieces in a home.